Mag Spring is a professional supplier of high quality Samarium cobalt magnets ( Samarium Magnets) from China .We can supply Samarium Permanent Magnets with highest properties in China because our factory base on one famous magnetic materials institute since 1967. Our Samarium magnets are widely exported to Germany, USA, Japan, Russia, etc.The capacity is 1000 tons per year. Disc SmCo Magnets, Diameter 120x100mm,axially magnetized. Block Magnets 120mm×120mm×100mm,Magnetized through 100mm. Small DIsc, Block or Arc, Ring SmCo Magnets can made from Big Disc or Block SmCo Magnets by cutting and grinding . The Minimum Diameter of SmCo magnets can be only 1mm. How to Buy Samarium Cobalt Magnets? If you want to buy right Samarium Cobalt Magnets ,Please tell us the following information if possible. 1. Any drawing or Shape,Dimension and tolerance . 2. 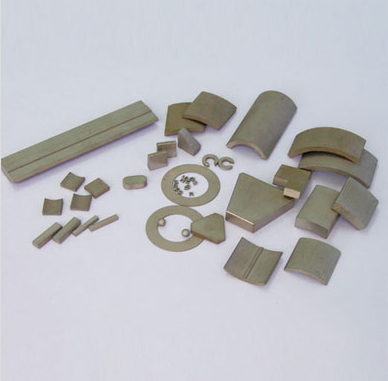 SmCo Magnet Grade or Detailed Magnetic properties. 3. Direction of magnetization of Samarium Cobalt Magnets, magnetized or not magnetized for shipment. 4. Other requirement if possible. 5. Quantity, delivery way( sea shipment or air shipment ). 6. Any Seaport or airport nearby your company.